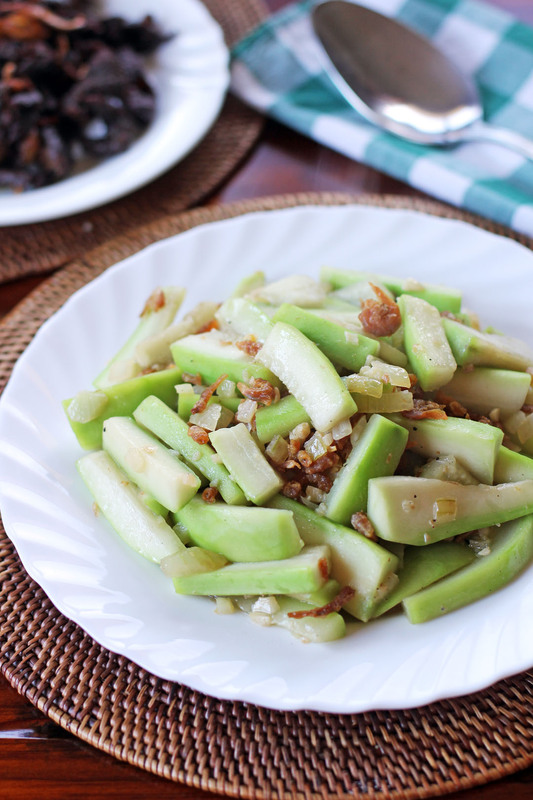 Dried Shrimps and Winter Melon is a simple stir fried dish that originated in the Zhejiang province of China. 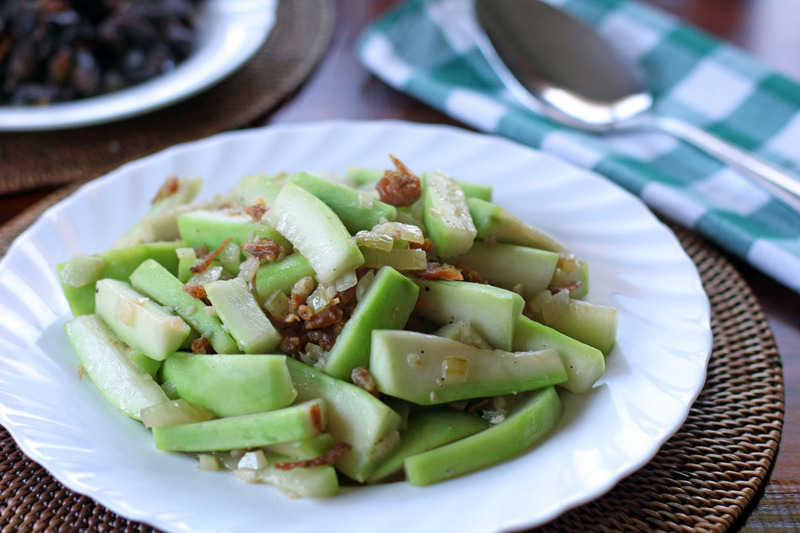 It is made out of winter melon stir fried with dried shrimps which is a very good combination complements each other’s flavours perfectly. Winter Melon, white gourd, winter gourd, ash gourd or what we call kundol in the Philippines is a vegetable with a very long shelf life, it usually grows in a country with a very warm weather now why is it named like such? Well because of its long shelf life which usually lasts 12 months, it is usually available and consumed throughout winter in countries of deciduous vegetation such as China. During its early stages this fruit is sweet hence it is used in candies in some countries like the Philippines and India but once it matures it loses it sweet taste, it becomes waxy and eaten as a vegetable hence you seen them in lots of Chinese soup dishes. Today we will be using it in a stir fry which also a very god way of consuming this delicious vegetable. Add dried shrimps and fry until crispy. I’ve never had that winter melon-I’m interested to know how it tastes! The winter melon looks great! Never cooked with winter melon before… don’t think I ever even saw it, lol – looks tasty, I’ll have to keep my eye open for it!